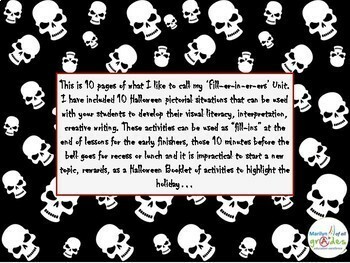 This is a fun unit with worksheets and activities for the students to complete on the approach to Halloween. 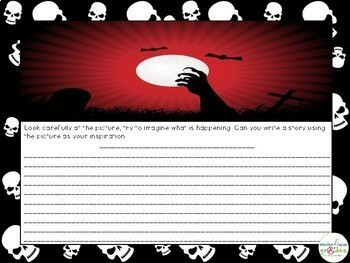 This is 14 pages of activities centered on the theme of Halloween. 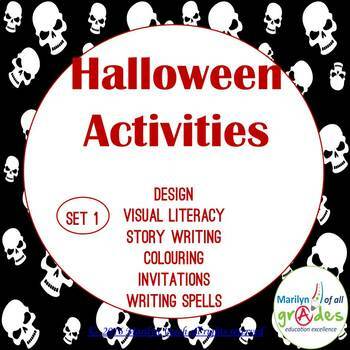 These activities can be used as a mini literacy unit of activities. We all have the lessons that finish 5 or 10 minutes before breaks, there is not enough time to begin another topic and too long for the students to sit not doing work. I would create different activities and the student could choose what they wanted to do, it kept them interested, filled in the excess time and they learned as well. I used the Fill-er-in-er-ers in other ways as well. 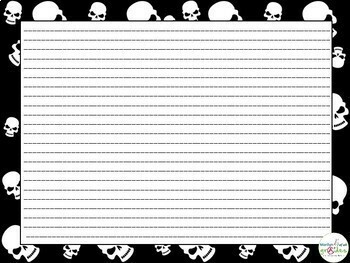 They were suitable as homework activities, used as group work to encourage discussion, for those students who always finished their work quickly or kept in a booklet that the students could complete during the term.